Christmas in July, day 4! Hi all! I hope you aren’t sick of my Christmas cards. 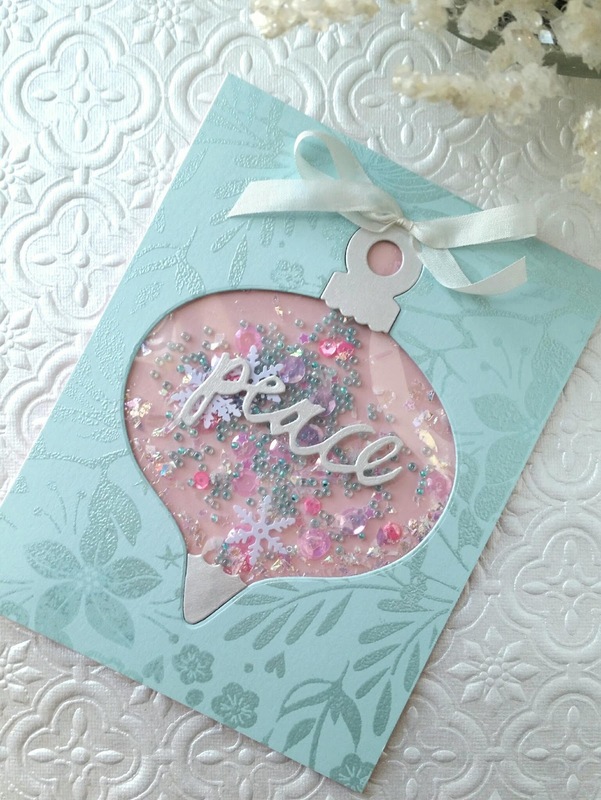 🙂 Today’s card is one of my favorite Christmas combinations: aqua, pink, and silver. My mom had a Victorian-themed Christmas tree that was an homage to these colors, and it was stunning. I recently purchased a wrmk Fuse tool specifically to make flat shakers and that nifty gift card shaker thing that Jennifer McGuire made in one of her recent videos. I used it and some inexpensive scrapbook page protectors to create my shaker pocket for this card. I filled it with some aqua seed beads, some clear pink sequins from The Ton, a few snowflakes, and some artificial snow. 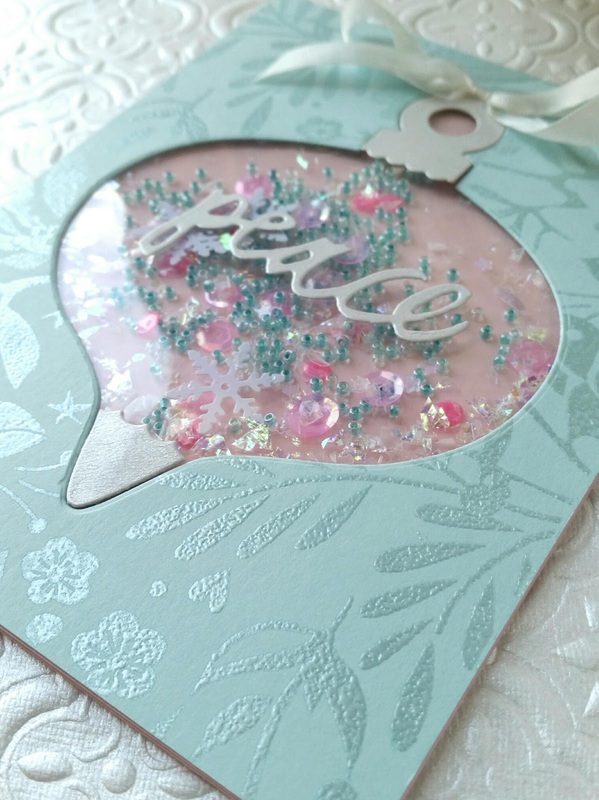 In order to make the card front, I used the Hero Arts Aspen Frost cling stamp with silver pearl embossing powder on aqua card stock. After heat embossing the panel, I used the Ornament Shaker die from Papertrey Ink to cut the window, then adhered my shaker pocket behind the embossed panel. 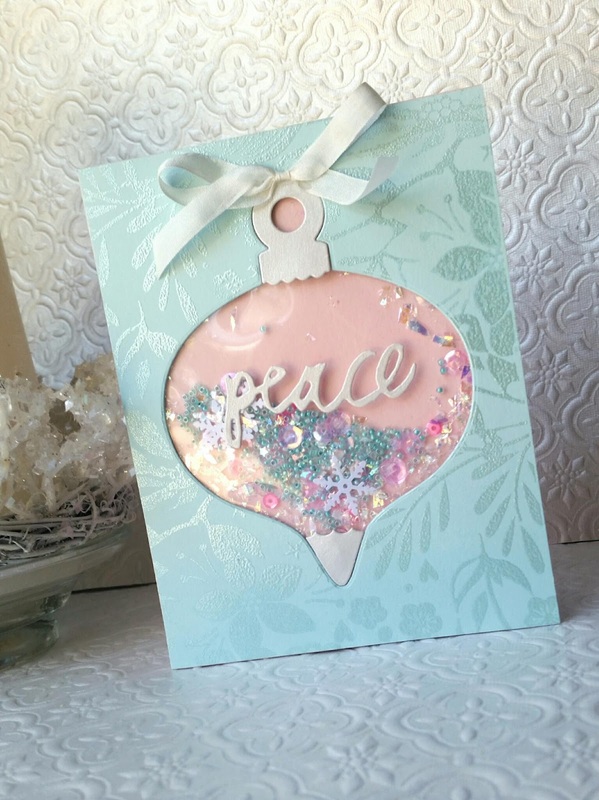 I mounted it on a Sweet Blush card base, then adhered a die cut (in the Neenah metallic paper) from PTI’s Wet Paint Christmas on the front of the shaker panel. A white silk bow finished it off. Only three more days of Christmas to share with you! Hope you are enjoying!